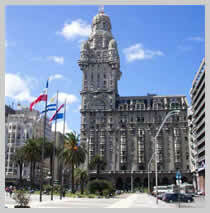 At Advance Uruguay we offer guided tours and interpreter services so as to make your stay one you will never forget. If you are coming on a business trip or would like to visit any special places, we organize your agenda for you to get the most from your trip. We offer complete tours which include everything you need to have a great time. - The oldest part of Montevideo is La Ciudad Vieja (The old city) (1724).The architecture in this part of the city is mainly Colonial with narrow streets. It is very nice to hang out in “El Mercado del Puerto”. Here you can have lunch accompanied by live music, the best beer in the typical Montevidean environment. La Ciudad Vieja is connected with the rest of the city by the “Puerta de la Ciudadela”. - When you go through the “Puerta de la Ciudadela” there is the big “Plaza Independencia” (Main square) on which you will find a statue of one of the heroes in the history of Uruguay, “José Artigas”. He fought against the Spanish but was unable to stop the Brazilian takeover of the “Banda Oriental” (the original name of the eastern shore of the Río de la Plata). From the “Plaza Independencia” you will be able to see the main shopping street in Montevideo: 18 de Julio. The development of this part of the city started in 1832. - Punta del Este peninsula is THE PLACE to go if you like a summer full of discos, beaches, nightlife and beautiful people. It is the place for surfing, sailing, golf and jet skiing. 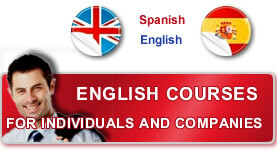 It is the place where the rich from all over the world spend their holidays. Punta del Este lies 140 km east away from Montevideo. There is also an international airport there. - Also beautiful but more quite are the beaches of Piriapolis. Developed before Punta del Este along the lines of a European spa resort, Piriápolis attracts visitors for its excellent beaches, lively nightlife, recreational facilities and relaxed vacation lifestyle. 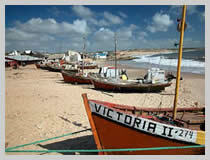 - If you want a real quite place, go to Punta del Diablo. The coast is a combination of sand and rocks. This place is highly recommended for those who have enough with bare necessities. There is only a small amount of “cabañas” and houses for rent. - Colonia del Sacramento is a small village. It’s a two and a half hours away from Montevideo. It was put on UNESCO´s world heritage list in 1995. Colonia was founded in 1680 by the Portuguese. In the old part of the city which is more than 300 years old, you can still find streets made of cobblestones and houses built in Portuguese style. - Go to the “Valley of Pozos Azules” for a hike and take a shower under a waterfall. 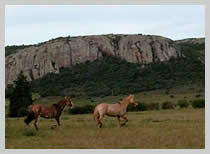 You will walk on one of the highest points of Uruguay with a beautiful view, only surrounded by wild horses. - The city of Salto was founded in 1817. It is situated in the northwest of Uruguay near the River Uruguay. It is the capital of the department, Salto is most famous for its hot spring waters which are situated outside the city and in the country-side. So go up to Salto and stay a few days to relax in the beautiful spa’s of Uruguay. They include typical meals, horse-riding, hiking, night-hunting, etc. The best estancias are San Pedro de Timote (170 km from Montevideo), La Quebrada (aproximately 150 km from Montevideo), El Charabón (220 km from Montevideo) and Guardia del Monte (250 km from Montevieo).